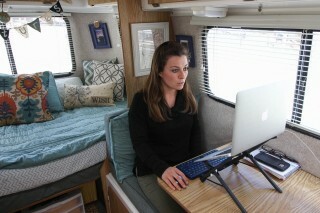 As full-timers living and working from our RV’s, can we use the Home Office Deduction on our taxes? It’s a great question and we get this one a lot from RVers strategizing creative ways to save money. The answer is: It depends. It depends on your unique business situation and the particulars of your work area in your RV. In this article, we’ll walk through the rules of the Home Office Deduction step-by-step to see if your situation works within the IRS’ rules. If you meet both requirements from the IRS, we have one more guideline to consider. This is based on a precedent set by a court case between the IRS and a couple RVing and working from their rig who applied the home office deduction. As a summary, the Dunfords used their motor home to work from and travel in. The case memo states, “The motor home had a sleeping area, a bathroom, and a kitchenette with a countertop. Across the vehicle from the kitchen counter was a second countertop that Mr. Dunford used as a desk, and on which he had a computer and office supplies” (4). The couple deducted the countertop as office space on their taxes. However, the court did not allow the deduction because, “The Dunfords did not prove that there was an identifiable portion of their motor home that was used exclusively for business purposes. The area they seemed to put forward as the home office was the countertop that Mr. Dunford used as a desk; but (1) they did not make any showing of the percentage of the vehicle that constituted this area (it would be a very small percentage), and (2) it is implausible to suggest that, in the cramped quarters of a motor home, an unclosed area like the countertop would somehow be exclusively reserved to business activity” (17). To read more from the court case, you can access it here. From the precedent set by the court case, we don’t suggest taking the home office deduction if your office space is a sitting area, desk, or counter top in an open area of your RV. In an open living area of the RV, it may be more difficult to prove an office area is exclusively reserved for business activity. However, if your office space is an extra room or space that’s closed off, you can better prove the area is exclusively and regularly used for business purposes. If your area meets the IRS’ two requirements and our additional guideline, the next step is to calculate the deduction. There are two methods. Let’s look at this together. There are two ways to calculate your home office deduction. There’s the Simplified Option and the Regular Method (a more complicated option). We’ll cover what each one looks like. The simplified option is simple. It values each square foot in your office at $5. If you have an office space of 6 square feet, each square foot is valued at $5. Now that was easy, but the value is low. The Regular Method may have a better value for folks working in their RV. Let’s look at this option together. The Regular Method may be of greater value for you because this method calculates the deduction as a portion of your total expenses to maintain your RV. For example, if you’re office space is 6 square feet and your RV is 100 total square feet, your office is 6% of your overall home. Your deduction would be valued at 6% of your total expenses to maintain the RV. 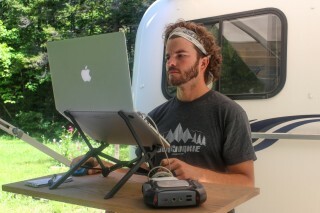 So, if you spent $5,000 to maintain your RV, your home office deduction would be $300. What expenses may be included in the calculation? Before you get too excited and start adding up every expense relating to your RV, the IRS has three categories for the type of expenses you may use and how to use them in your calculation for claiming the home office expense. The IRS categorizes the expenses as direct expenses, indirect expenses, and unrelated expenses. Direct expenses: These are “expenses only for the business part of your home” and are fully deductible. For example, a direct expense may be a computer stand that sits on your desk in your home office. Indirect expenses: These are “expenses for keeping up and running your entire home” and are deductible based on the percentage of your home used for business. For example, these expenses include insurance, utilities and general repairs to maintain your RV. 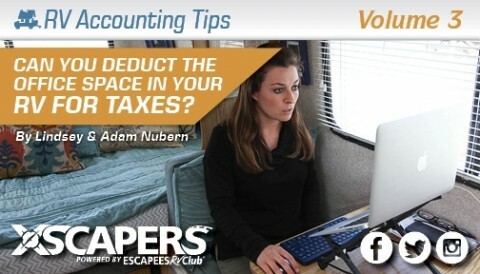 Using the example above, your office is 6% of your total RV so you can include 6% of these expenses into the calculation of your deduction. Unrelated expenses: These are “expenses only for the parts of your home not used for business” and are not deductible. For example, if you buy an outdoor mat to use under the awning, it’s generally considered an unrelated expense because it’s not directly related to business and not indirectly related to keeping up your home. 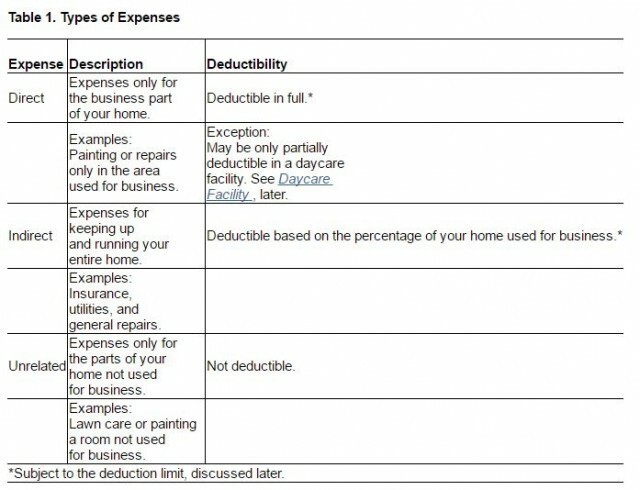 Here’s a table explaining the categories of expenses from IRS Publication 587. Since the IRS is very specific on how expenses are categorized and how much can be deducted, it’s very important to maintain detailed records. We learned this from the The Dunfords court case. The Dunfords used the Regular Method using all of their expenses to deduct their home office. They deducted their RV’s insurance and utility expenses. However, when reviewing their expenses, the IRS did not allow these deductions because “the Dunfords provided neither proof of payment nor detailed explanations regarding these expenses…” (21). When using the Regular Method, it’s important to maintain detailed records. Maintain a record of paper copies or take pictures of the receipts and file the pictures electronically using your preferred cloud storage program. Explain why each expense is ordinary and necessary to maintain your RV and how the expense is either directly related or indirectly related to your home office. If you’re using accounting software to track your expenses, add your explanations in the memo area for your records. Where to Claim the Home Office Deduction? Self-employed folks will show this amount on Schedule C of your tax return on Line 30. Employees of a business will report this on Schedule A (assuming that you will be itemizing your deductions and not claiming the standard deduction) on Line 21. 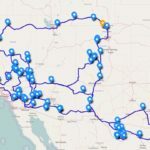 Every full-time RVer’s situation is different. Consult your professional CPA with your unique situation. Want to connect with a CPA? DISCLAIMER: The information and materials I have shared in this article are intended for reference only. As the information is designed solely to provide guidance to the readers, it is not intended to be a substitute for someone seeking personalized professional advice based on specific factual situations. Therefore, I strongly encourage you to seek the advice of a professional to help you with your specific needs. 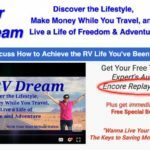 Your RV Dream Summit Encore Starts Today!